“…and we lived happily ever after” would be fitting to describe our recent experience with the labs4rescue organization. 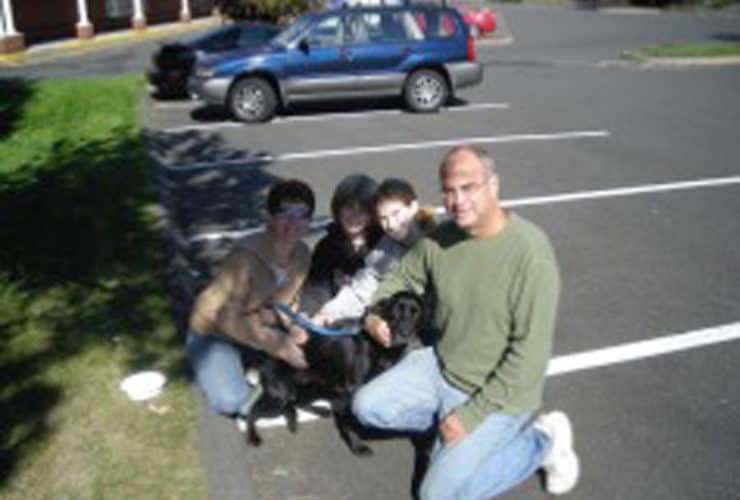 We can not say “thank you” enough to each of you for your genuine kindness in helping us to provide a home for a lab. Missy #10…now Miss Faith arrived two weeks ago and has become a part of our family from the moment we met her!! This thank you is also extended to the fosters and contacts I was in touch with regarding inquiries into potential adoptees. This includes April, Anne, Keri, Deb and Betsy. Each and everyone of you is so amazing in our eyes and we deeply appreciate all that you said and did to make this happen. Missy is more than we could ask for. She is perfect for us and in just more than two weeks has brought so many smiles to our home. May you all be blessed for all you do just as these animals have been blessed to find homes because of you!! !